Saving time in an emergency situation is often the difference between life and death. For some of the thousands of patients referred to University of Florida Heath, intensive care given at outside hospitals and en route by the UF Health ShandsCair Critical Care Transport Team makes the difference. 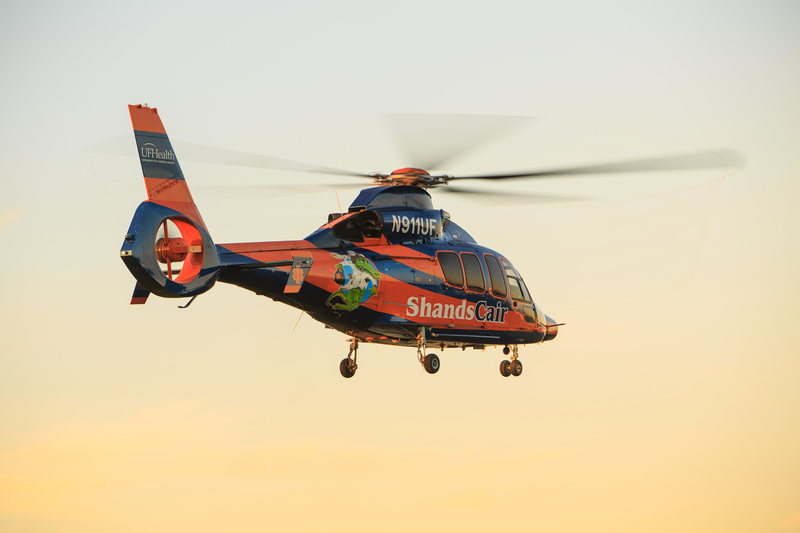 For the ShandsCair Critical Care Transport Team, the combination of intensive care and rapid transportation has helped link referring physicians to tertiary care being rendered in the emergency department and intensive care units at UF Health Shands Hospital. 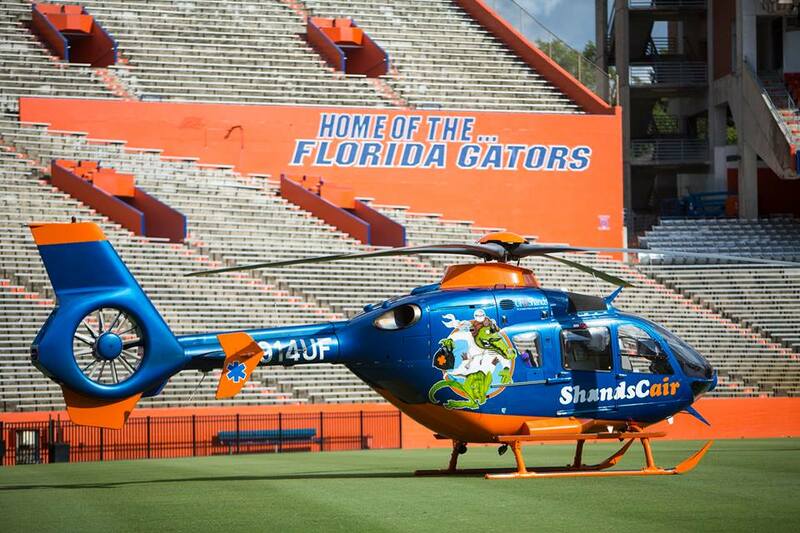 ShandsCair is the critical care transport system of UF Health. The ShandsCair team strives to deliver excellence in patient care during transport, using specialized teams, vehicles and equipment in a safe, cost-effective manner with the goal of improving patient outcome. 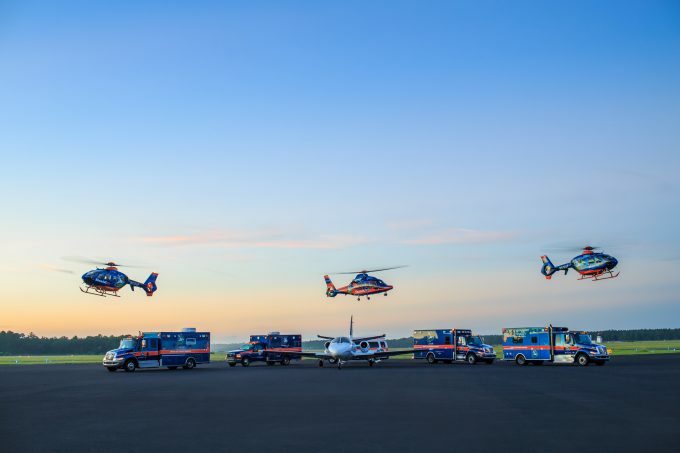 ShandsCair provides transport and specialized care by way of fixed-wing aircraft, 5 helicopters, 9 ground ambulances, and 2 medical transport vans. The ShandsCair helicopter typically transports patients from prehospital scenes within a 75-mile radius, and community hospital emergency departments and intensive care units up to a 240-mile radius, including domestic and international access. Care is provided 24 hours a day, seven days a week and is coordinated through the ShandsCair Communication Center by the program’s Communication/Transportation Specialists. ShandsCair transports approximately 9,400 patients per year. ShandsCair consists of two distinct clinical teams: the neonatal/pediatric team and the adult/pediatric team. The neonatal/pediatric team transports infants and children up to five years old. This team is composed of a neonatal registered nurse or APRN and a registered respiratory therapist. The primary diagnosis of patients transported by this team includes infants born prematurely with respiratory or cardiac compromise, and other medical or surgical anomalies. The adult/pediatric team is composed of a registered nurse/paramedic or APRN/paramedic and a critical care paramedic. This team transports scene patients of all ages and interfacility patients greater than 30 days through the geriatric population. The primary diagnosis of patients transported by this team consist of multi-trauma, neurosurgical emergencies, surgical emergencies and medical emergencies. Average flight time is one hour.